The history of electronic communication can be compared with a heavy train. It starts very slowly and after a while he gets faster and faster and faster, and no one can stop him. So it was with the electronic communication. From the invention of the Morse telegraph to the invention of the telephone, it took about 20 years. But from the invention of the Superheat Radio, until the first TV broadcasting took place, it took 10 years. Today, new electronic developments come up in every year. This makes it clear, for electronic people, learning is a continuous challenge. Greek parallel code transmission from Arcos to Troya using fire signals. First underwater cable used for signal transmission. First telegraph device is developed. First far transmission underwater cabel. First picture transmitted on wire. Radio waves have been found. First Radio transmitter. Invention of the high frequency transformer. Patent for tuned coupled circuits. Vakuum tube triode is invented. The katothode ray tube is invented. The Superhet radio receiver was created. Theorie of Vakuum tubes explained. First Broadband Amplifier is developed. Automatic Grid Bias of Tubes is invented. Beginning of TV Broadcasting in Europe. The scanning TV Tube is invented, first TV pictures on a tube. German radio for everybody “Volksempfänger”. VE 301 Single Tube straight forward receiver with adjustable feedback. Precision Frequency meter is developed. Dr. Hermann Schwarz and Dr. Lothar Rohde formed a company. First PCB is used in a Radio. W1XOJ in Paxton, Massachusetts . Development of UKW FM Radio System in Germany. First Radar in Germany finds objects 30km far away. Electronic measurement equipment’s are developed. Invention of the Microwave powertube Magnetron. British physcists Randall and Bott. Invention of the Traveling Wave tube TWT. First digital computer uses Relays. Kornrad ZUSE ; Helmut Schreiyer. First Radar in USA is developed (RADAR = RAdio Detection And Ranging). German Radar “Lichtenstein “ found 130 airplanes at once. First electronic tube computer EINIAC. FM Radio in Germany established. First Color TV system developed.The Vidicon camera tube is invented. First Germanium Transistors on the market. First Germanium Transistors in Germany. AC107 VALVO, GFT20 TE-KA-DE . Miniaturising of Tubes to only 5 mm diameter , “Penceltubes”. First electronic banking equipments are developed. Check watching video system TE-KA-DE . Beginning of cartelephone “Öffentlich beweglicher Landfunk “ in Germany. Development of first Unit B70 at TE-KA-DE. Scattering Microwave directional radio is developed. Microwave beam reflected in heaven, connects BRD and isolated Berlin ,developed at TELEFUNKEN . Grundig, Hightrain Hamburg uses Video watching system TE-KA-DE. James L. Buie of TRW. First Silicon Transistors on the marked. Popular Types are 2N1613 or 2N2628. TR4 TELEFUNKEN Clock 2Mhz ; 50Mhz storage. Development of Phase alternating PAL at TELEFUNKEN Hannover. Inventor was Prof. Bruch and team. Frank Wanlass at Fairchild Semiconductor. Switching DC Regulators come up. Switcher voltage regulator circuits are invented. Beginning of color TV in Germany. Developed at TELEFUNKEN to be used digitalizing phone network . Patents of liquid crystal displays. First Microprozessor on the market. Intelsat 5 communication Satellite international development . Famous CMOS 4000 Series on the market. 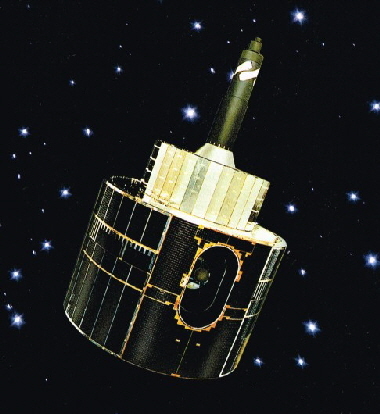 First european French German communication satellite SYMPHONY works in space. 4Ghz 10 W TWTA transponder developed at TELEFUNKEN. Famous Table computers come on the market. Direct broadcasting TV Satellite is developed. First digital Satellite Radio equipment in Germany developed. World wide Web. is installed. First Satellite connected Internet home equipment is developed. First optical satellite communication works in space. Friedrich Klemm: Kurze Geschichte der Technik, Herder Verlag. Volker Aschoff,VDE : Optische Nachrichtenübermittlung in klassischen Altertum: NTZ 30 1977. Harlan Howe, Jr. Nova presents Echo of War: Microwave Journal Sept.1989. 27. May 1903: Die Gründung von Telefunken. Die Geschichte einer kreativen Firma. 1930 Fernsehübertragung über Kurzwelle realisiert. 1934 Erste Fernsehsendungen mit 14kw UKW Sender. 1936 Erste FM - Richtfunkstrecke mit Dezimeterwellen. 1937 100kW Rundfunksender für die Post geliefert. 1937 Der Volksfernseher Fe7 mit Rechteck-Bildröhre. 1950 UKW Sendernetz in Deutschland aufgebaut. 1950 Die Schallplatten -Firma “ Decca “ wird gegründet. 1967 Das Farbfernsehsystem PAL ist entwickelt. 1970 Großrechner TR440 ist entwickelt. 1972 1 Million Farbbildröhren liefen vom Band. 1973 Feuerleitsysteme der Schnellboote 143. 1982 Insolvenz der Muttergesellschaft AEG. 1988 Verkauf der Nachrichtentechnik Backnang. 1990 Verkauf der Telefunken Hochfrequenztechnik Ulm. Die Geschichte von Telefunken ist die Geschichte Technischer Glanzleistungen, die durch Missmagement der Muttergesellschaft AEG , Jäh beendet wurde. Indem der Telefunken Bereich “Öffentliche Netze” im Jahre 1996 an Marconi* verkauft wurde der Kreis zur Telefunken-Gründung geschlossen. Als letzte der verbliebenen Teilbereiche von Telefunken, hat das Halbleitetrwerk Heilbronn im Jahre 2005 Insolvenz angemeldet. *Marconi wurde 2006 an Ericson verkauft. Link: Ausstellung von Telefunken Komponenten und Geräten der drahtgebundenen, der Richtfunk-, Satelliten- und der Lichtwellenleiter-Technik aus den letzten 70 Jahren. Wie ein EMC-Problem den 2. Weltkrieg wendete. Als im zweiten Weltkrieg der Seekrieg tobte, wurden auf beiden Seiten immer raffiniertere Elektronik- Ortungs und -Feind-Warngeräte eingesetzt. Ab etwa End 1940 besaßen britische Vickers und Armstrong Bomber das ASV- Radar (Airborn search for surface vessel) das es ihnen ermöglichte selbst einen U-Boot-Turm gegen die Wasseroberfläche zu orten. Die Deutschen hielten mit der Entwicklung eines ASV Warngerätes dagegen. In aller Eile wurde dazu das bekannte Metox Warngerät entwickelt. Mit dem Einsatz dieses Gerätes ab dem Zeitraum Mitte 1941 konnten die deutschen Bootsverluste zunächst verringert werden, doch dann wendete sich der U-Boot Krieg schlagartig zugunsten der Alliierten. Die Briten hatten nämlich die Störstrahlung des Metox -Gerätes enteckt. Denn das Matox Gerät hat zwar funktioniert und vor englischen Bombern gewarnt, doch erzeugte es viel Störstrahlung, das es für die Englischen Bomber ein leichtes war, U-Boot um U-Boot zu versenken. Erst Anfang 1943 wurde dies erkannt und das Matox-Gerät ersetzt. Dieses tragische Ereignis, zeigt uns , wie wichtig auch heute die sorgfältige Einhaltung von EMC- Spezifikationen ist. Ratsam ist es vor allem, die Steuer-”Clocks” einzelner Geräte miteinander zu synchronsieren. 27. May 1903: The Formation of Telefunken. The story of a creative company. 1930 interlaced television has been developed. 1930 television transmission on shortwave realized. 1933 Television receiver with picture tube. 1934 First television broadcasts with 14kw FM transmitter. 1936 First FM - radio link by decimeter waves. 1937 The People TV Fe7 with rectangular picture tube. 1941 development of air defense radar. 1950 FM transmitter network built in Germany. 1950 The record company "Decca" is founded. 1967 TV color system PAL is developed. 1970 mainframe computer TR440 is developed. 1970 testing and delivery of the train radio. 1972 1 million color picture tubes off the production line. 1975 Development of optical fiber cable technology. 1982 bankruptcy of the parent company AEG. 1988 sale of telecommunication Backnang. 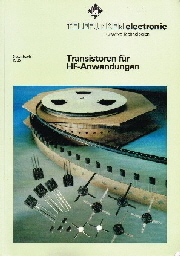 1990 sale of the Telefunken radio frequency technology Ulm. The history of Telefunken is the story of technical prowess, which was by missmanagement of the parent company AEG, suddenly to an end. When the Telefunken department "Public Networks" was sold to Marconi in 1996, the ring was closed to the founding years. As one of the last of the remaining portions of Telefunken, the semiconductor Heilbronn has registered for insolvency in 2005. Link: Exhibition of Telefunken components and devices of the wired, the microwave, satellite and fiber optic technology from the last 70 years. How an EMC electronics problem turned the Second World War. As in World War II was raging naval war, increasingly sophisticated electronic locating and enemy-detectors were used on both sides From about the end of 1940 had British Vickers and Armstrong bomber the ASV radar (Airborn search for surface vessel) which allowed them to locate even a submarine tower against the water surface.Die Deutschen kämpften mit der Entwicklung einer ASV Warneinrichtung auf der anderen Seite. In haste the known Metox warning device was developed to.With the use of this equipment from the period from mid-1941, the German Submarine losses could initially be reduced. But after a while , the U-boat war turned abruptly in favor of the Allies.The British had discovered, the radio-interference of Metox -device. For the Matox device did work and warned about British bombers, but it generated so much interference that it was easy for the English bombers to sink a submarine after another.It was not until the beginning of 1943 the problem was recognized and replaced the Matox device.This tragic event shows us how important today is the careful observance of EMC specifications. In my experience , is it wise, to synchronize all the Basic "Clocks" of individual devices.